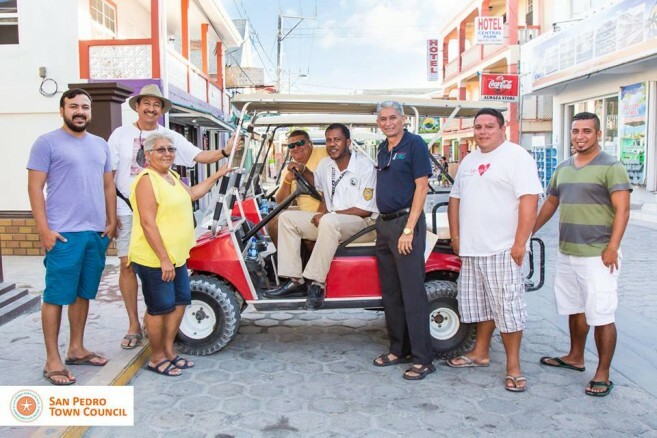 The San Pedro Town Council donated a golf cart to the Dr. Otto Rodriguez Polyclinic II on Friday, May 13th. Receiving the welcome donation was Health Inspector Horris Patten, who expressed that the golf cart will be used to conduct health inspections through the week, and will assist him in performing his daily tasks. The Dr. Otto Rodriguez Polyclinic II extends their gratitude to the SPTC for this donation.